We all love things that will help us save time at the barn, right? I know we’ve heard it from the experts before work smarter not harder. When you have horses sometimes you have to be creative as they take a lot of time. Don’t get me wrong as I don’t regret having them or the hours I spend cleaning buckets, mucking stalls or raking the isle way. After all, I knew what I was getting into when I got horses. Issue: Bridles, halters and leads laying all over the place. 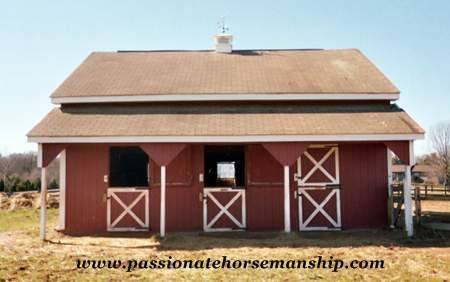 Solution: Use your empty tuna cans and mount them in the barn as they are the perfect shape for holding bridles and halters. Solution: use an old chest freezer with the locking mechanism removed to store your feed. The old freezer can also be a great place to store your winter blankets. Solution: Use Peppermint essential oil on cotton balls placed around the room it will help to keep mice out of your tack or feed room. Solution: Use scrunchie’s they are great bucket scrubbers, if you need some abrision add salt. Solution: Take a see through shower curtain and affix it to the wall above the tack hooks. With the see through curtain you can see what tack you want to grab. What tips do you have to share please leave them in the comments below. Thanks for adding to the tips Brenda. Horse riding is on etìof my dreams I never followed. To me it symbolizes freedom , strengh, independancy , creativity and nature. Reading your post opened a window to a new goal I’d like to reach this year, horse riding classes!